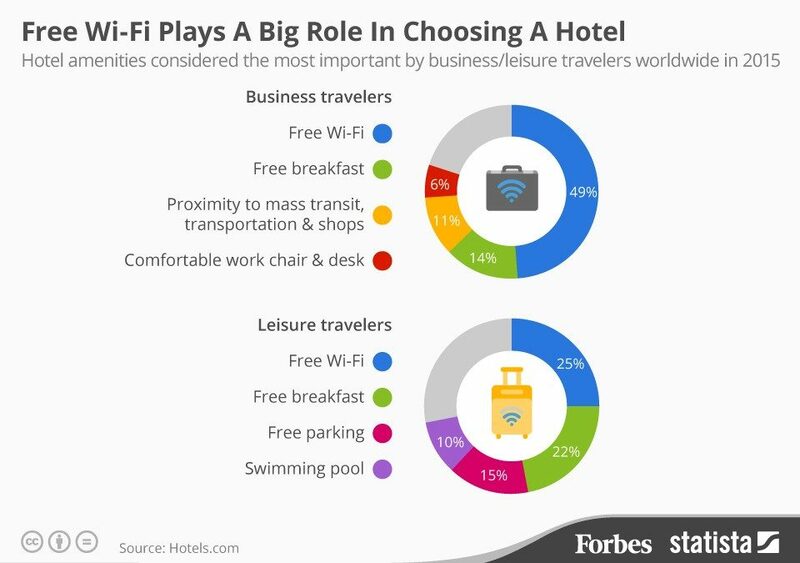 A recent Forbes Survey shows that it isn’t only those travelling on Business who demand FREE Wi-Fi in hotels. Leisure customers prefer it too. Our solutions help hoteliers and those in retail or leisure make the most of their investment in Wi-Fi – See Article Here.